I so enjoy making these cakes for baby showers. This one is going to be shipped to Florida. I have never shipped any of my cakes before, so I am praying that it makes it there in one piece! I snuggled on the couch Saturday night and watched Bridesmaids. That is the funniest movie I have seen in a LONG time! I was literally rolling on the couch laughing. I am so thankful for the power of laughter and downtime. I needed it. 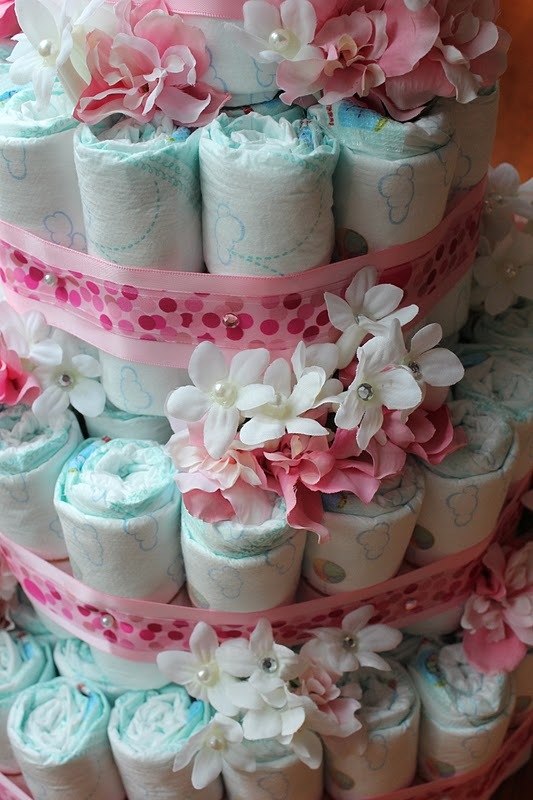 The diaper cake is adorable! I love those!! Perfect for a baby shower. Those brownies look so yummy. Great photos too...my mouth was watering. You are so talented! 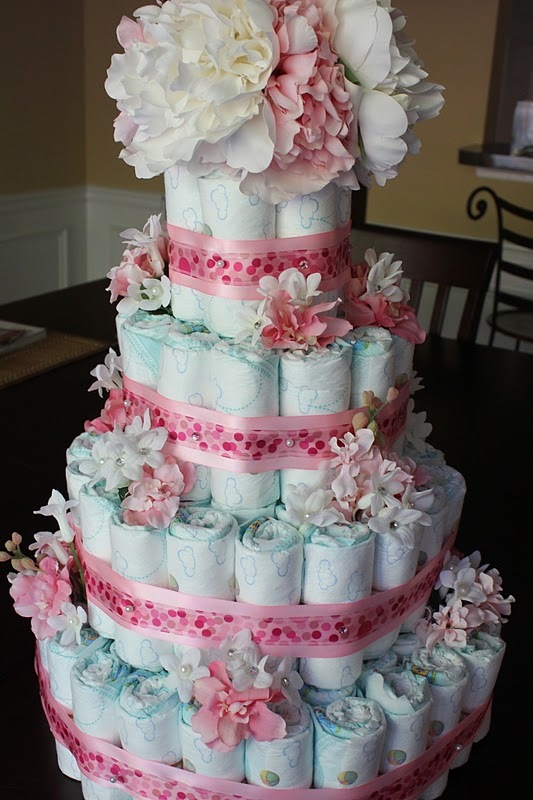 The diaper cake is beautiful! Also, I need that brownie in my life! Yum-O!! It sounds like a great weekend! Your diaper cake is gorgeous, it is too pretty to touch and your browning are making my mouth water. Thank you for being so SWEET!! 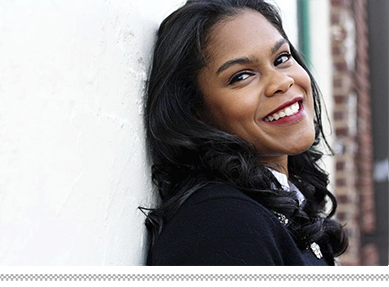 I just had to step back from blogging for a bit!! Your pics are out of this world....AMAZING! I love the crunchy edges too!